Are you getting ready to buy a new home? It can be quite exciting whether it is your first home or your fifth, but you have to be very careful about the process. If you aren’t, then you could actually be in trouble. Here are several of the most common mistakes that you will need to avoid if you want to be happy with your mortgage. Never choose the first lender that you find and that will have you! Even though it is tempting to go with the first lender, believing that you can get through the process faster since you’ve already got a lender on board, it is a mistake. Always take the time to shop around and see what other offers are out there. You may find that you can get a better deal that could end up helping you to save thousands on the cost of your mortgage. 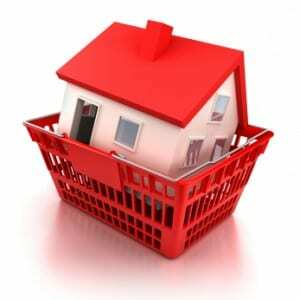 When you are shopping for lenders, ask for referrals from family and friends, and do plenty of research on the web. What if you find a lender that’s willing to provide you with a huge loan for that dream house? Before you jump at the chance, take a step back. Are you really going to be able to afford the mortgage payments, the insurance, and the upkeep of the home? You do not want to get into a situation where you are financially burdened because the loan you too out is too large. Also, never sign any paperwork that you don’t understand. Always get clarification so you know exactly what every piece of paper means and who it will affect you. Your real estate agent, mortgage broker, and other professionals should be happy to help you. If they aren’t, then maybe their customer service needs some work. By avoiding these mistakes, it can make it easier to get a mortgage that’s actually right for you and that you can afford.